It is essential that connections are made exactly as shown. If terminal markings are not in accordance with the diagram they must be ignored. 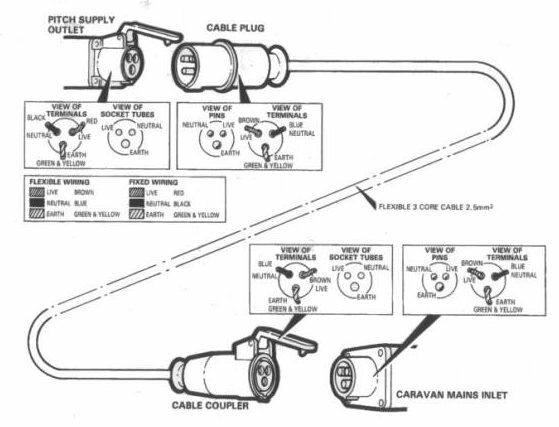 The legal length of the mains inlet cable is 25 +/- 2 metres. When in use it must be fully uncoiled and protected from traffic.